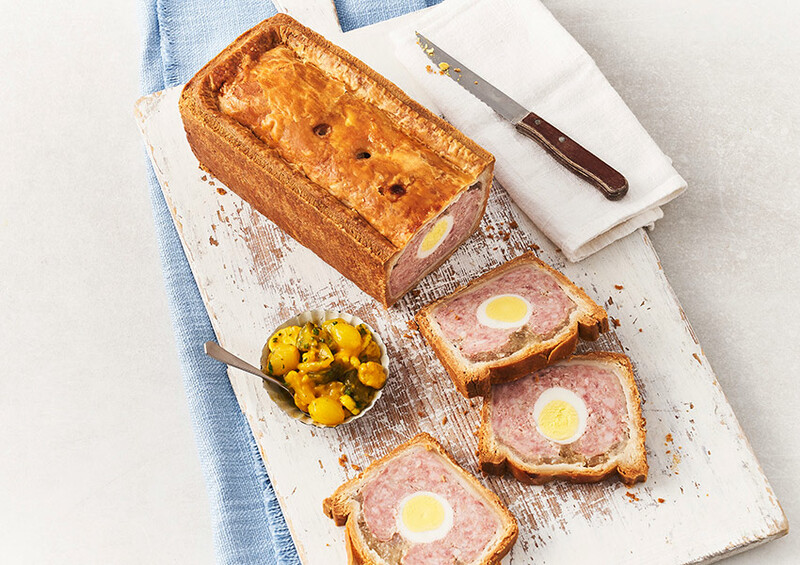 Traditional cured pork with egg encased in a glazed hot water crust pastry. British Pork (32%), Wheat Flour (Wheat Flour, Calcium, Iron, Thiamin, Niacin), Pork Fat, Free Range Egg (10%), Water, Pork Lard, Potato Starch, Palm Oil, Rapeseed Oil, Salt, Pork Gelatine, White Pepper, Preservative: Sodium Nitrite; Lemon Juice. Pork and egg gala cutting pie.